It’s smart, it’s clever, and once you accept its (somewhat ridiculous) premise, it explores that premise thoroughly and plays fair with its audience. More than that, its avoids all the time travel cliches you might expect from TV writers who aren’t familiar with the vast body of time travel literature. 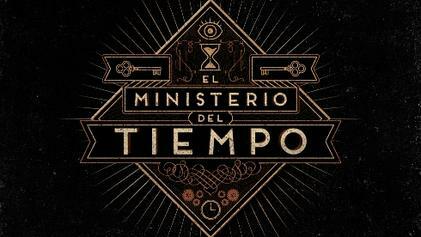 Spain’s Ministry of Time is dedicated to keeping history as she is wrote, and free from interference by other time travelers like, say, Heinrich Himmler, who appears in one episode as someone a little too curious about the possibility of changing the past. The Ministry recruits people from throughout history as its agents, though sometimes at the cost of acute culture shock. The agents soon discover that to deal with the fabric of time is to subject themselves to unending tragedy. They are torn from their own time to a future when the everyone they love is dead, and (by the rules of the Ministry) they are not allowed to interfere to save even their own children. Yet, to keep the time stream from becoming corrupted, they spend their days saving everyone else. The agents seem to spend most of their missions involved with famous people. This sort of makes sense— if time travelers interfered with obscure or unimportant people, nobody in the present would ever find out. So in addition to Dalí and Velásquez, the agents meet Lorca, Buñuel, Isabellas I and II, and Lope de Vega. I see from episode summaries that subsequent episodes will encounter El Cid, Cervantes, Houdini, J Edgar Hoover, Columbus, and somebody called the Vampire of Raval. I’ll look forward to meeting them. This is our summer programming as well, and you did a great job of summing up the things that make the series work. The humor is a revelation (“So the time machine exists and it is Spanish”), maybe because the series has its roots in the financial crisis. I also like their approach to Spanish history, which seems more willing to re-evaluate the large historical figures than an American remake would (Sleepy Hollow, for one, was guilty of this: American historical figures good, British historical figures bad). You may be giving them a little too much credit for internal consistency. I’m going to wait a few more episodes to render a verdict, since what can change and what can’t change seems… changeable. But I was surprised at the lack of buzz for it, it didn’t come up on our suggestions until we specifically looked for Spanish TV shows. It’s very watchable, and another reason why it’s good to live in the streaming present. Alonso de Entrerríos, the “swashbuckling cavalier recruited from the 17th Century”, is in fact a Tercio soldier from the 16th century (he’s rescued in 1569). As for travel outside Spain, there’s a bit in the second and third seasons. Mexico (16th century), Gran Colombia (1828) and Philippines (1898), perhaps others. There’s a lot of humor that only a Spanish will likely catch, like Julián registering under the false name “Curro Jiménez” on a hotel when they’re saving “the Empecinado” during the French invasion. The joke being that the father of Rodrigo Sancho (Julián) was the star of a quite successful and well-known series “Curro Jiménez”, also set in during the French invasion. Another meta-reference happens when Julián mets Queen Isabella I of Castile. He and the Queen exchange puzzled looks, like “Hmm… Have we met?” Of course, the actress playing the Queen here also played the same role in the series “Isabel”… where Rodrigo Sancho played the role of Ferdinand II of Aragon, her husband. The series is really great, but suffered from lack of support by RTVE (Spanish public television ) which meant that they were slow to renew and had problems keeping the cast. RTVE’s treatment of the series ultimately lead to its untimely sort-of-cancellation after season 3. I am glad the series has subtitles. I am stuck watching a series 3%, that dubs. What is the point of watching a foreign series if you can’t use it to boost your language skills? In season 2 they go around this rule, including so far, an episode in NYC in the 20’s, a 2-parter in the Philippines, with a stop before in Cuba (though they aren’t actually shooting in any of those places). I’m still not clear though on how they managed to go to NYC in the 1920’s. But I was making dinner at the time and so constantly interrupted. Also I find their Castillia Spanish almost impossible, even when I really should know what they are saying. Foxessa: Cuba and Philippines, of course they visit through time gates, as it was Spanish territory up until 1898. I think they don’t go to New York via a time gate, they use one to go to 1920 and then just travel to the States. Perhaps that’s not very clearly stated in the episode. Foxessa, it was partly your reaction to viewing the series that made me want to watch it. But some other series, like Bosch, had to be viewed first. Juanma, thanks for the enlightening comments. One question that occurred to me was: How do the TIME GATES know where the Spanish border is? Walter — I’m delighted I helped you decide to watch this series! Maybe what I love best about it are the numerous sly comments about Spanish history and how certain aspects of its governance persist through the centuries: as in the Director’s office, he observes that the worst trait of the Spanish is tardiness — which accusation was laid against, among others such as Philip II for the desultory manner of putting the Armada together and sailing too late. Not for the first time that Spain’s navy sailed too late to arrive either. I get such a kick out of that sort of thing! Yah — I thought I made that clear that I knew how Julián could go to Cuba and the Philippines. Yah, it was the last of the old Spanish New World wars of independence — which T Roosevelt and the US highjacked, taking over both Cuba and the Philippines. Initiating US overt imperialism — soon they’d be occupying Haiti too. It was NYC I didn’t understand. But I don’t worry about that much.